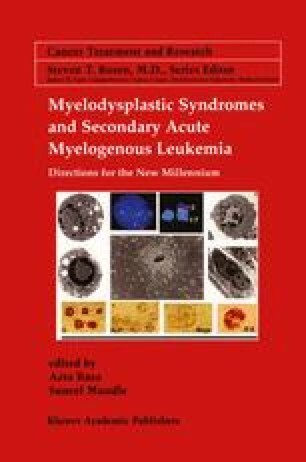 Management of patients with myelodysplastic syndromes (MDS) and acute myeloid leukemias arising from pre-existing MDS (Secondary AML, sAML) presents many unique problems to the treating physician. These patients are often elderly and are at high risk for life threatening complications of treatment. Recurrent infections and a history of multiple blood product transfusions complicate the clinical management and compromise their ability to tolerate therapy. Drug resistance and the frequent occurrence of cytogenetic abnormalities result in lower remission rates and decreased long term responses. This chapter will review these unique aspects of management of these patients.